For UK readers a title that instantly raises the spectre of the ’Elf & Safety police and the annoyance, irritation and amusement generated by the seemingly ubiquitous injunctions of their minions. Even my department is not spared, the harbinger of warm weather invariably being an email reminding us that this is no reason for abandoning the rule that at all times we should wear a lab coat – though, to be fair, our local enforcer usually includes the cheeky inference that we retain the option of going naked underneath. Ah, The Joy of Science! ’E & S’s reputation comes, of course, from periodically making the headlines by banning a centuries-old tradition in some rustic backwater involving such fun activities as rolling cheeses down a hill. Mind you, they’ve slipped up recently by allowing Stuart Kettell to push a Brussels sprout up Mount Snowdon with his nose. As that’s 3,560ft (vertically) he probably did lasting damage to his knees, to say nothing of his hooter, as well as inflicting grievous bodily harm on 22 sprouts (they wear out on the basalt, obviously). 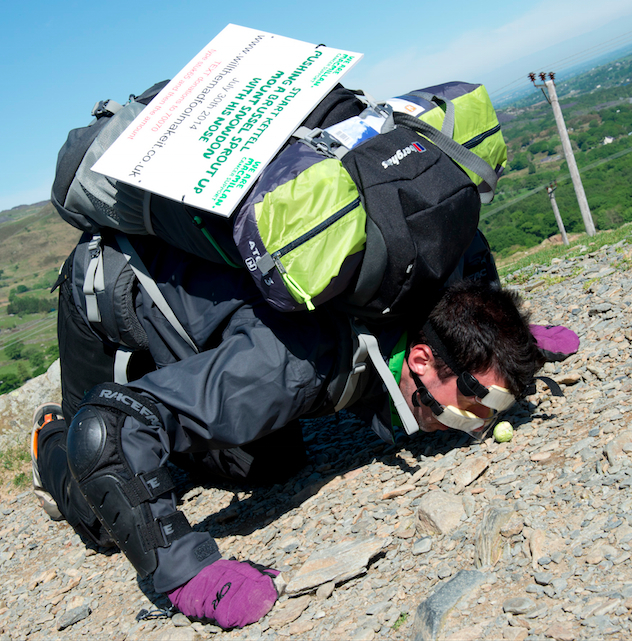 By his own admission, he’s probably mad – but he did at least raise some money for Macmillan Cancer Support. But why are we bothered about assessing risk? Setting the above entertainment to one side, estimating risk can be a really serious business and never more so than when it comes to cancer. It’s an especially contentious, long-running issue for breast cancer and both in Betrayed by Nature and more recently in Behind the Screen I tried to crystallize some clear guidelines from the vast amount of available info. In short these were: ignore commercial plugs for thermography – the only test to go for is mammography – i.e. 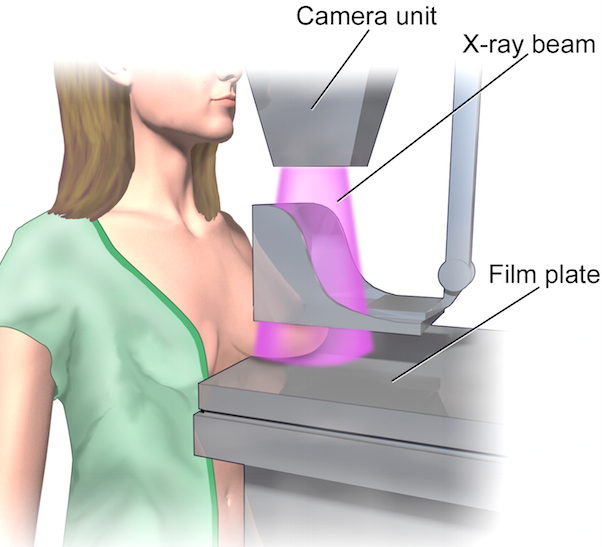 X-ray imaging to find breast cancer before a lump can be felt. And the simple message you were relieved to read in BbN was that, whilst the matter is controversial, if you are offered screening, accept – but be aware that the method is not perfect. There’s a small risk that a cancer may be missed and a bigger chance that something abnormal but harmless will be picked up – a signal for intervention (by surgery and drugs) and that, in those cases, would be unnecessary. And we’re revisiting this question? Because there have been some recent contributions to the debate that might well have increased confusion and concern in equal measure for women who are desperately trying to make sense of it all. The most controversial of these comes from a panel of experts (The Swiss Medical Board) who reviewed the history of mammography screening – and recommended that the current programmes in Switzerland should be phased out and not replaced. Needless to say, their report caused a furore, not only in Switzerland, with experts damning its conclusions as ‘unethical’ – mainly because they ran counter to the consensus that screening has to be a good thing. So what did the Swiss Big Cheeses point out to get into such hot water? Their view after considering the cumulative evidence was that systematic mammography might prevent about one breast cancer death for every 1,000 women screened. However, two other things struck them. First, it was not clear that this result outweighed the disadvantages of screening – what are inelegantly referred to as the ‘harms’ – the detection and treatment of something ‘abnormal but harmless’ mentioned earlier. Second that, on the basis of a survey by American group, women had a grossly optimistic idea of the benefits of mammography. Two of the weightiest bits of evidence that led them to conclude that screening does more harm than good were studies that had combined several independent investigations – what’s called a meta-analysis – which is a way of increasing your sample size and hence getting a more meaningful answer. One of these (The Independent United Kingdom Panel on Breast Cancer Screening) pulled together 11 trials from which it emerged that women invited to screening had a reduction of about 20% in their risk of dying from breast cancer compared with controls who were not offered screening. So far so good. However, inevitably there were differences in methods between the trials, which made the UK Panel very cagey about drawing more specific conclusions but their best estimate was that, for every 10,000 UK women aged 50 years invited to screening for the next 20 years, 43 deaths from breast cancer would be prevented and 129 cases would be over-diagnosed. Over-diagnosis means detection of cancers that would never have been emerged during the lifetime of the individuals and these healthy women will be needlessly subjected to some combination of surgical interventions, radiotherapy and chemotherapy. The second combined study is from The Cochrane Collaboration, the trials involving more than 600,000 women. Their review also emphasized the variation in quality between different studies and noted that the most reliable showed that screening did not reduce breast cancer mortality. However, less rigorous methods introduced bias towards showing that screening did reduced breast cancer mortality. In this sort of trial “less rigorous” relates particularly to the problem of ensuring that the two groups of subjects are truly randomized – i.e. that nothing influences whether a woman is assigned to receive screening mammograms or not. This is much harder than it sounds, mainly because human beings do the assigning so there is always a chance of either a genuine mistake or a flaw in the design of a particular study. One simple example of how the best laid plans … The consent form for a study specifically states that women are assigned, at random, to either the mammography or no mammography group. Women are then examined by a specially trained nurse. However, if these two steps are reversed, assignment may be biased by the findings of the examination. Precisely such a failure to adhere to a protocol has been revealed in at least one study. Making the liberal assumption that screening reduces mortality by 15% and that over-diagnosis occurs at a rate of 30%, they estimated that for every 2000 women invited for screening over 10 years, one will avoid dying of breast cancer and 10 will be treated unnecessarily. In addition, false alarms will subject 200 women to prolonged distress and anxiety. All of which explains why, taking everything into consideration, the Big Cheeses recommended that the Swiss abandon mammography screening. Actions speak louder than words and in the UK women aged 50 to 70 are invited for mammography screening every three years. By way of explanation, the NHS document (NHS breast screening: Helping you decide) says that for every 200 screened about one life is saved from breast cancer. The American Cancer Society recommends screening annually from age 40 – so it’s clear that Britain and the USA are firmly in favour. It will be obvious by now that attaching precise numbers to the effects of screening is next to impossible but the overall message is clear. At best screening yields a small reduction in breast cancer deaths but this comes with a substantially greater number of women who are treated unnecessarily – hence the Swiss position that it is ethically difficult to justify a public health program that does more harm than good. It’s a bit difficult to assess just how knowledgeable women are about the benefits of mammography screening but one study that tried came up with some positively alarming pointers. A telephone survey of more than 4000 randomly chosen females over 15 years of age in the USA, the UK, Italy and Switzerland revealed that a substantial majority believed that (i) screening prevents or reduces the risk of getting breast cancer, (ii) screening at least halves breast cancer mortality, and (iii) 10 years of regular screening prevents 10 or more breast cancer deaths per 1000 women. Rates of breast cancer mortality are declining. Hooray! And the five-year survival rate in developed countries is now about 90%. Hooray again! It seems probable that this trend is more though improved treatments and greater awareness – leading to early detection – than because of screening. Nevertheless, all that doesn’t alter the fact that where women are offered the choice they need to be as well informed as possible. The weaknesses of the telephone survey are obvious but the implication that misconceptions are widespread indicates that we need to do much better at explaining the facts of mammography screening. Biller-Andorno N. and Jüni P. (2014). Abolishing mammography screening programs? A view from the Swiss Medical Board. New England Journal of Medicine 370:1965-7. Independent UK Panel on Breast Cancer Screening. (2012). The benefits and harms of breast cancer screening: an independent review. Lancet 380:1778-86. Gøtzsche, P.C. and Jørgensen, K.J. (2013). Screening for breast cancer with mammography. Cochrane Database Syst Rev; 6:CD001877. Domenighetti G, D’Avanzo B, Egger M, et al. (2003). Women’s perception of the benefits of mammography screening: population-based survey in four countries. Int J Epidemiol., 32:816-21.